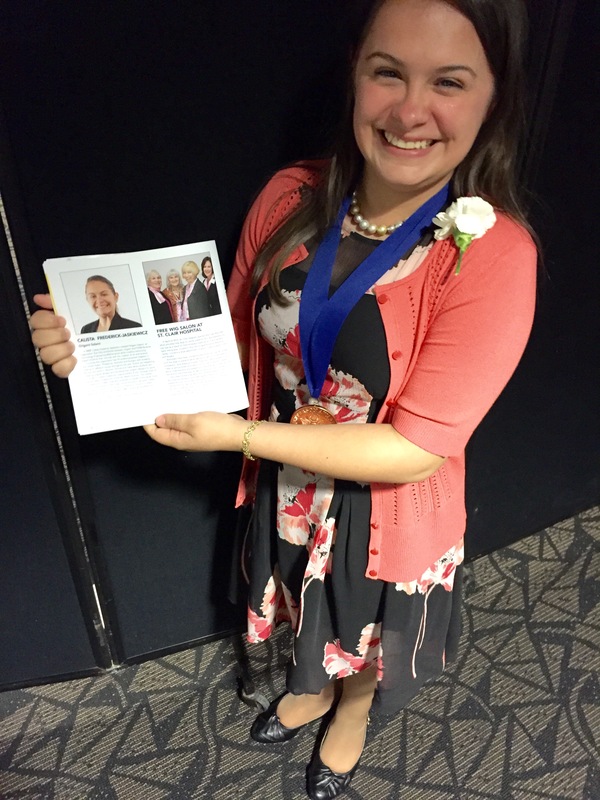 Origami Salami Founder and CEO Calista Frederick-Jaskiewicz received the prestigious Jefferson Award for Public Service at a gala reception and awards ceremony at Heinz Field in Pittsburgh last week. 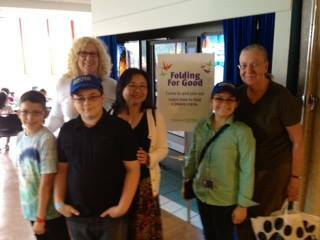 According to Ms. Frederick-Jaskiewicz, the overriding goals of Origami Salami and Folding for Good are to increase the number of STEM pipeline students by raising awareness of STEM applications achievable through the simple “hobby” of folding origami, and then to improve the world through Folding for Good initiatives supporting various good causes. 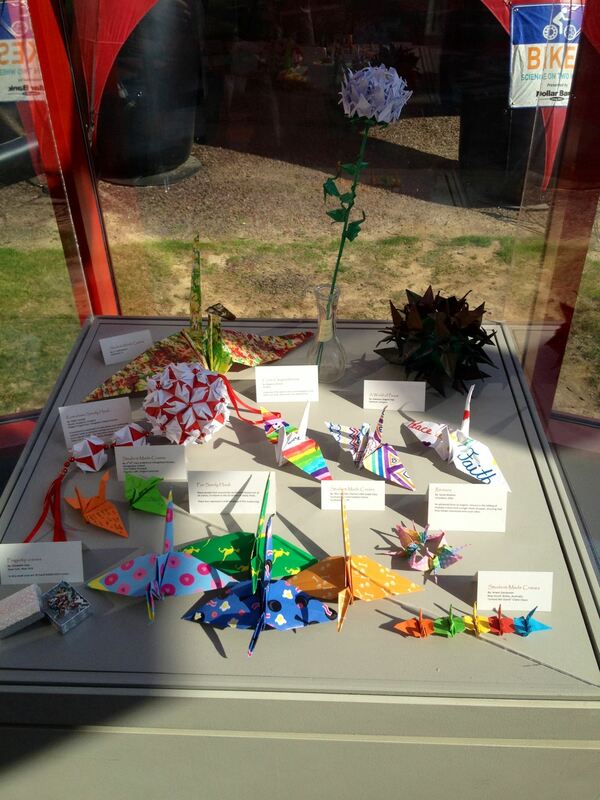 “The practice of origami improves spatial skill which is widely regarded as a predictor of ability in STEM. It also improves memory, focus, and small motor skill.” says Frederick-Jaskiewicz. 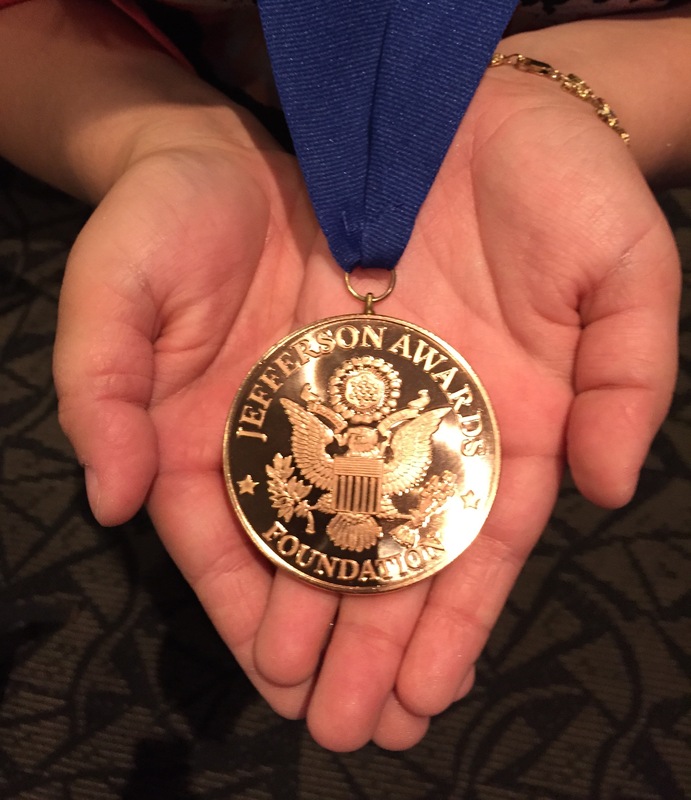 The Jefferson Awards Foundation is “the longest standing and most prestigious organization dedicated to activating and celebrating public service” in the United States. The Pittsburgh celebration was sponsored by the Pittsburgh Post-Gazette, Highmark Blue Cross Blue Shield, and BNY Mellon. This entry was posted in Uncategorized and tagged Calista Frederick-Jaskiewicz, Folding for Good, Origami Salami. Zachary Ligh, President, Origami Salami Eta and Folding for Good 7, and his display at the Sugar Land Library showcasing his traditional origami and Yodas, Darth Papers, and Han Foldos! 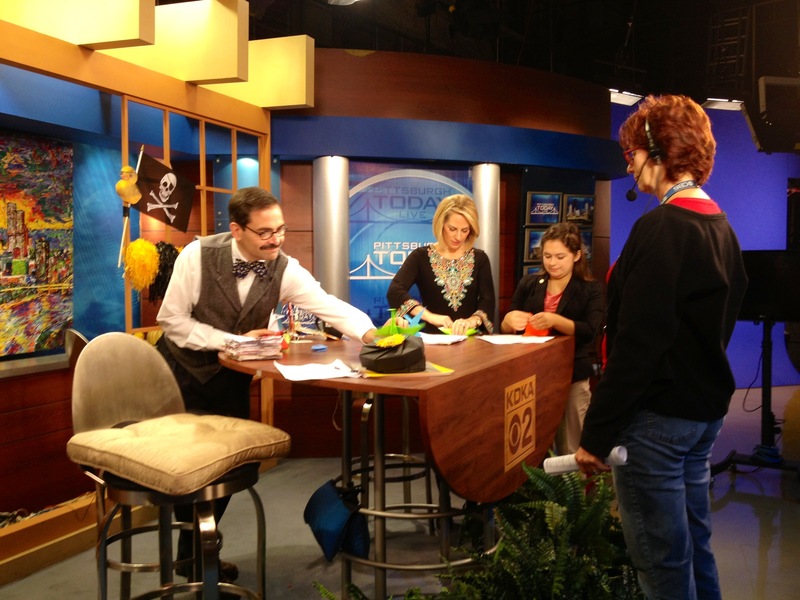 What a great way to celebrate World Origami Days! This entry was posted in Art, Math, Origami, Science, STEM, Uncategorized and tagged art, darth paper, darth vader, han foldo, han solo, Origami, Origami Salami, star wars, sugar land, sugar land library, sugar land texas, texas, yoda, Zachary, Zachary Ligh. Hungarian origamist H Vass Ildiko has designed and donated this origami, a heart bearing a single peace crane, for Operation Sandy Hook: Peace .This model extends wishes of love and peace, and especially to the Sandy Hook community and to all affected by the events which transpired there on December 14, 2012. 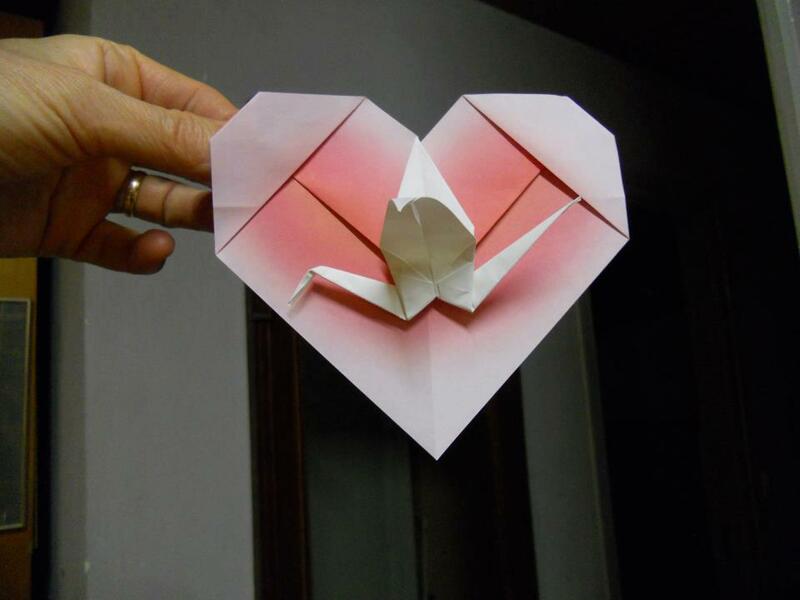 In 2006, H. Vass Ildiko designed another very special emblem within a heart—for the Origami USA Annual Convention at which she taught! This entry was posted in Uncategorized and tagged Calista Frederick, Calista Frederick-Jaskiewicz, H. Vass Ildiko, Hungarian Origami Society, Magyar Origami Kor, Operation Sandy Hook, Origami, Origami Salami, Peace, Peace Cranes, Sandy Hook. 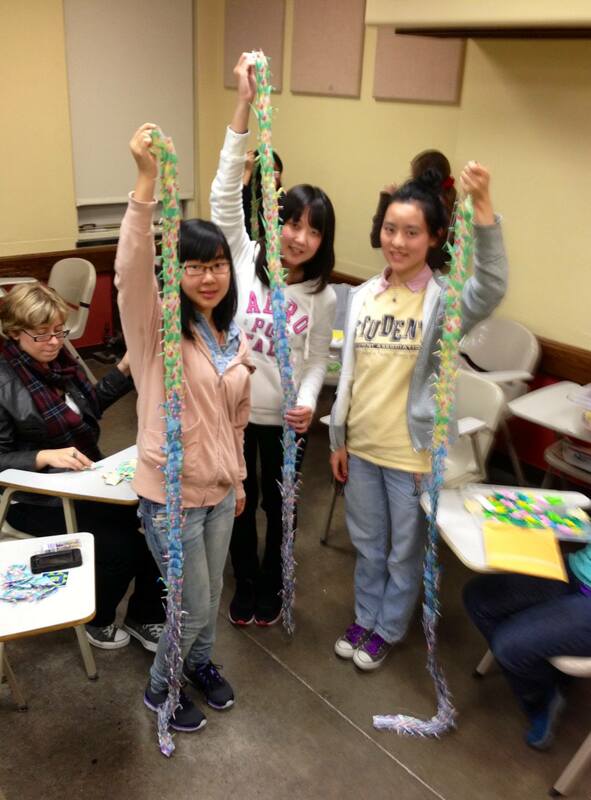 The K-6 students of Creek Elementary in Muskogee, Oklahoma, USA, folded these 120 cranes for Operation Sandy Hook: Peace. As I was figuring how to best photograph all of them, which were neatly sorted by color, counted by 10’s, and rubber-banded, I came up with “Cranebow.” I hope you like that, everyone at Creek Elementary! This entry was posted in Art, Math, Origami, Sandy Hook, Science, STEM, Uncategorized and tagged art, Calista Frederick-Jaskiewicz, Cranebow, Creek Elementary School, Folding for Good, Muskogee, Origami Salami. Look at this!! 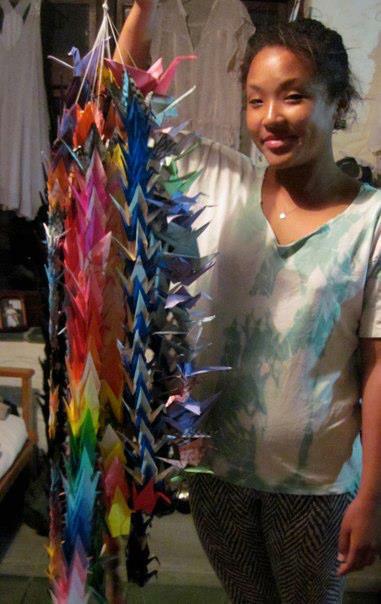 634 sorted and strung peace cranes from Origami For Africa are on the way. YAY! Special thanks to Kyoko Kymura and all the folders who contributed, including Simoa Kefira Nangle, Eriel Huang, Marion Stevens, Taiji Morgan, Marlene Winberg, Robyn Davis, Iole De Stefano, Damian Michael Holt, Roshina Ratnam, Nicole LeRoux, Delphine Silberbauer, Jaqueline Dommisse and Nonhlanhla Jali. This entry was posted in Art, Math, Origami, Sandy Hook, Science, STEM, Uncategorized and tagged art, Calista Frederick-Jaskiewicz, Folding for Good, Operation Sandy Hook: Peace, Origami, Origami for Africa, Origami Salami. 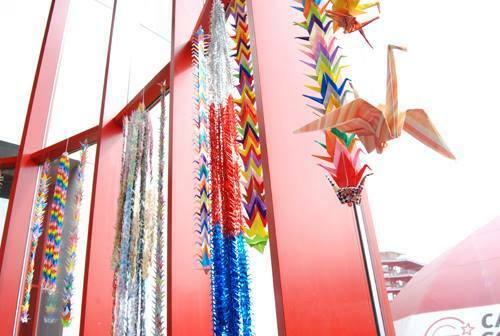 The world is responding to our invitation to fold origami peace cranes for those affected by the December 14, 2012 murders at Sandy Hook Elementary School, Newtown, Connecticut. Here is a crane count update! To keep up with the progress of this global initiative, visit our website and Facebook photo archive and crane count update note. 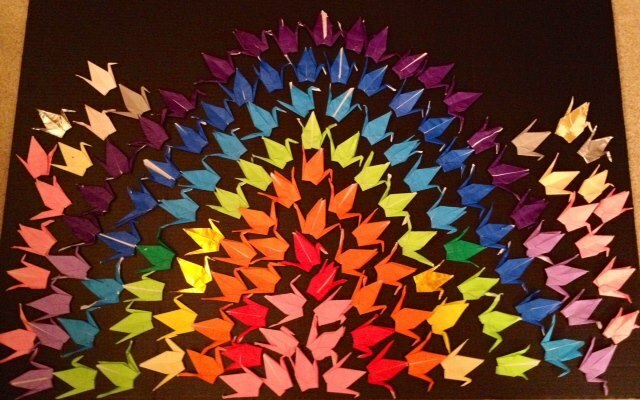 This entry was posted in Art, Math, Origami, Sandy Hook, Science, STEM, Uncategorized and tagged art, Calista Frederick, Calista Frederick-Jaskiewicz, Folding for Good, Operation Sandy Hook, Origami, Origami Salami, Peace Crane Project, Peace Cranes, Sandy Hook Elementary.